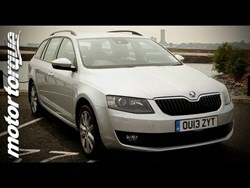 Automotive YouTube channel MotorTorqueUK has reviewed the Skoda Octavia – what did it think of the Czech-made estate? The recently-released video puts the new Skoda Octavia through its paces. It’s packed full of clever features and is a great option for business drivers and for families. The video compares the Octavia to its competition in the estate sector, such as the Ford Focus estate, VW Golf Estate and the Kia Cee'd Sportswagon. It may not be the fastest on the block with its benchmark sprint coming in at 8.5 seconds, but the model features a class-leading boot space and an overall comfortable ride.